They say that the grass is always greener on the other side of the fence. That includes different planets in a galaxy. What you have, your neighbors want. And what your neighbors have, you want. Sounds like there's just gonna be some conflict. 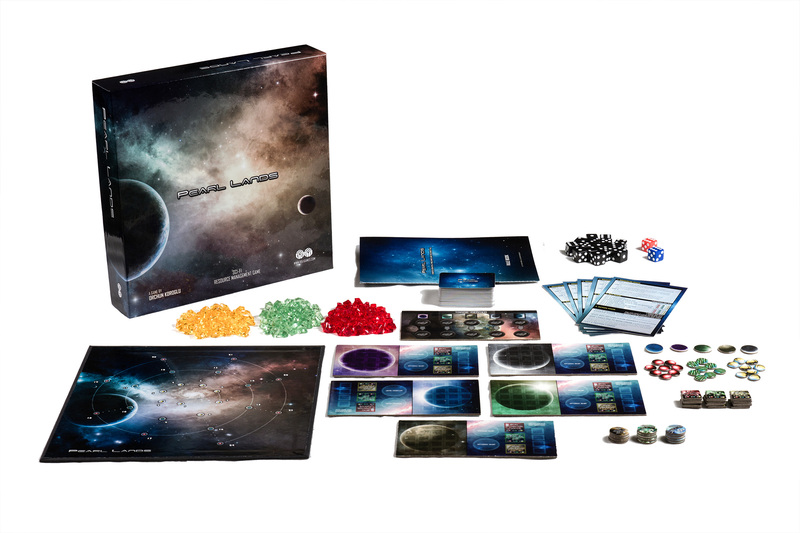 That's what's going on in Pearl Lands, a new sci-fi strategy board game from Roli Games. Build up your forces, protect your resources, and fight, trade, and explore your way to galactic conquest. The game is available to purchase now. An intense competition to dominate the Pearl Lands galaxy! Accumulate your resources to build attack and trade ships, and purchase action cards. Steal resources from opponents to weaken them with merciless attacks. And always keep up your defenses, because you can never know who has eyes on your planet’s riches. Use trade to exchange resources and get closer to galactic conquest. But remember: Pearl Lands is full of surprises and betrayals! Pearl Lands is the perfect board game for your social game night. It’s ideal for both board game enthusiasts and beginner gamers who are interested in a fun, easy-to-learn, and competitive board game experience. Bring your friends and family together for a time full of joy and entertainment!